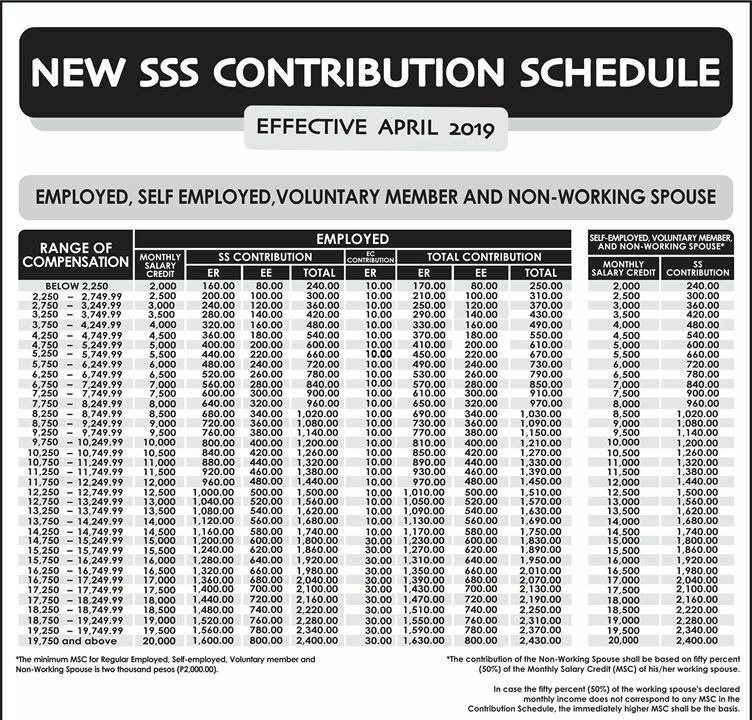 Effective April 2019, members of the Social Security System and their corresponding employees will start paying more contribution following the passage of Republic Act No. 11199 or the Social Security Act of 2018. The contribution for workers in the private sector will be increased from 11% to 12%. 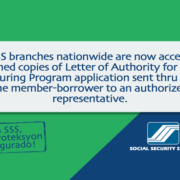 The minimum monthly salary credit (MSC) will also get higher from Php 1,000 to Php 2,000 and the maximum from Php 16,000 to Php 20,000. SSS Officer-In-Charge Aurora Ignacio stressed the advantage of the changes for the pension fund’s members. Under the contribution rates, the benefits of members will also be increased. For example, if an employee under the Php 20,000 MSC gets sick, the sickness benefit he/she can be given per day would be Php 600, a hundred and twenty pesos more than the previous benefit. The monthly basic pension will also be increased from Php 6,400 to Php 8,000 for the same employee. 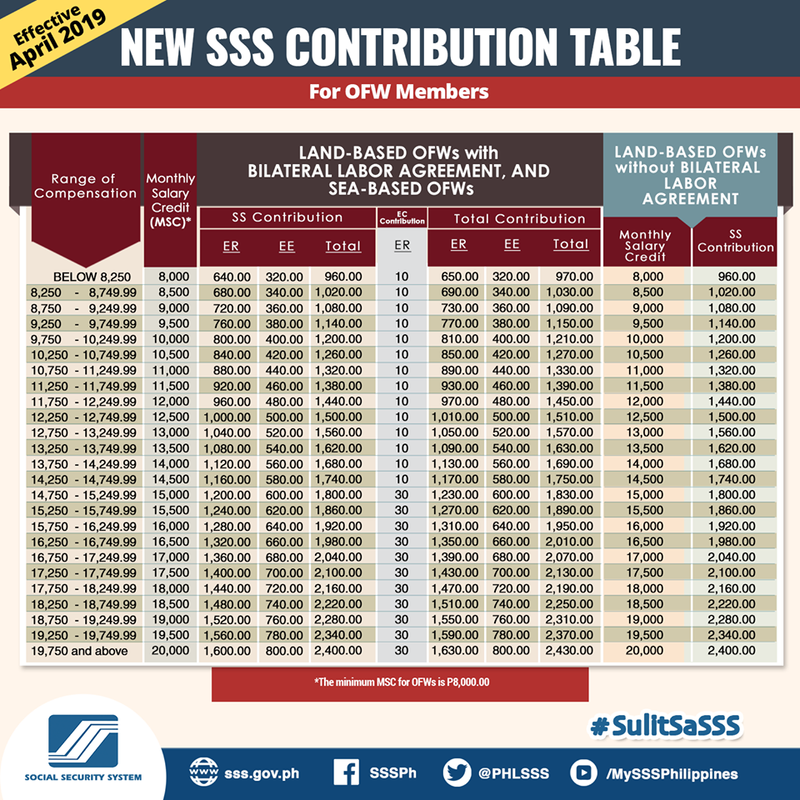 Aside from this, the increase in contribution rate is also expected to lengthen the fund life of SSS until 2045. It can be recalled that the pension hike, as well as the extended maternity leave, slashed the state fund’s life by 10 years. For an employee earning Php 12,000 per month, Php 480 shall be deducted from his/her salary. Meanwhile, his/her employer should pay Php 960 under the new rates. This will only be an increase of Php 44 for the employee and Php 76 for the employer in comparison to the old rates. This change is not only for tenured members, but also for self-employed and voluntary members. Employers of ‘kasambahay’ members would also be paying for higher contributions.